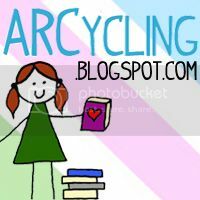 No, I'm not changing the name of my blog (although I've thought about it). Last month, I got a sweet package from Random Buzzers (Courtesy of Random House). This website is a hub-hub for book junkies to chat and win books. You earn Buzz Bucks to purchase books on the site. And there are other goodies like guest appearances by authors, contests, and book excerpts from upcoming books! I was chosen as a Fall Ambuzzador, a huge honor! As you can see, I received two copies of "Every Day" by David Levithan, cards, pens, and other goodies. If some of you won one of my giveaways, you should have gotten both a card and a pen just to spread the word. I urge everyone to go to Random Buzzers and sign up! I'll be giving away a copy of "Every Day" very soon, so stick around for that! I used to go on Random Buzzers all the time but I haven't for a while. I should get back into that site. I've never heard of this, thanks for the heads up.